Windows 10 Fall Update arrived last week, and there was a lot of discussion about it. Some people were satisfied with the improvements and new features that it brought, while some were angered by a few problems. But, we’re not going to talk whether the update is good or bad here, because we have one interesting new addition to show you. After installing Threshold 2 update, you can now set your time zone to switch automatically, based on your current location. You probably already noticed that Windows is able to automatically set and change your time, but the ability to automatically change the whole time zone wasn’t included in previous versions of the system. This feature maybe should’ve come earlier, but Microsoft decided to add it now. 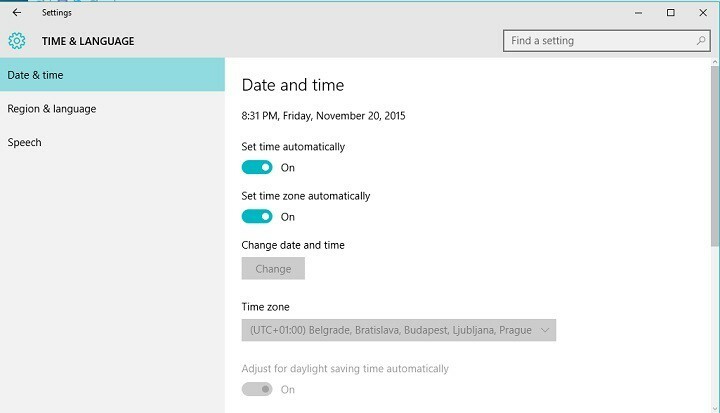 Turn on the toggle under Set time zone automatically. And that’s the whole philosophy, now your time zone will change as you change your current location, just like it does on your smartphone. So you don’t have to worry about the change of time when you travel a long distance. What do you think about this addition? Will it help you to organize your time better, when you’re on longer travels? Tell us in the comments. Since you’re there, you can also tell us your experience with Threshold 2 update so far. What do you think about the new features and improvements? And did you have any problems with this update, like some users did?